In part II and III of this series we discussed the Common Information and Canonical Models. Because MDM is a business project we need to establish of a common set of models that can be referenced independent of the technical infrastructure or patterns we plan on using. Now it is time to introduce the Operating Model into the mix to communicate how the solution will actually be deployed and used to realize the benefits we expect with the business in a meaningful way. This is the most important set of models you will undertake. And sadly not accounted for in practice “in the wild”, meaning rarely seen, much less achieved. This effort describes how the organization will govern, create, maintain, use, and analyze consistent, complete, contextual, and accurate data values for all stakeholders. Determine direction through goals, objectives, values and mission. It defines the criteria for selecting an organizational structure (for example functional or balanced Matrix). The strategy defines the ways of making the best trade-off between alternatives. – departmentalization: the basis to form departments (function, product, process, market or geography). In our case this will really help when it comes time to designing the entitlement and data steward functions. The flow of information and decision processes across the proposed organization’s structure. Processes can be either vertical through planning and budgeting, or horizontal through lateral relationships (matrix). Influence the motivation of organization members to align employee goals with the organization’s objectives. Influence and define employee’s mindsets and skills through recruitment, promotion, rotation, training and development. Now before your eyes glaze over, I’m only suggesting this be used as a starting point. We are not originating much of this thought capital, only examining the impact the adoption of MDM will have on the operating model within this framework. And more importantly identifying how any gaps uncovered will be addressed to ensure this model remains internally consistent. After all, we do want to enable the kind of behavior we expect in order to be effective, right? A typical design sequence starts with an understanding of the strategy as defined. This in turns drives the organizational structure. Processes are based on the organization’s structure. 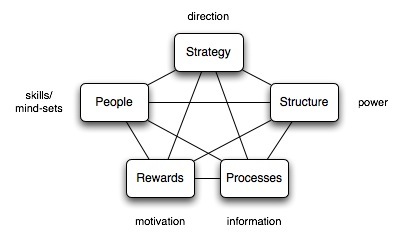 Structure and Processes define the implementation of reward systems and people policies. 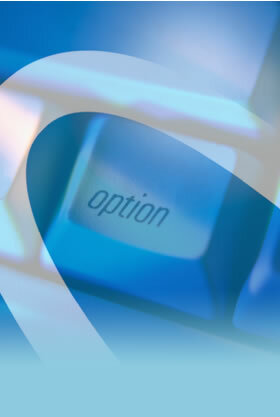 – Version and variant management, permission management, approval processes. I know this seems like a lot of work. Ensuring success and widespread adoption of Master Data Management mandates this kind of clear understanding and shared vision among all stakeholders. We do this to communicate how the solution will actually be deployed and used to realize the benefits we expect. In many respects this is the business equivalent to the Technical Debt concept Ward Cunningham developed (we will address this in the next part on Reference Architecture) to help us think about this problem. Recall this metaphor means doing things the quick and dirty way sets us up with a technical debt, which is similar to a financial debt. Like a financial debt, the technical debt incurs interest payments, which come in the form of the extra effort that we have to do in future development because of the quick and dirty design choices we have made. The same concept applies to this effort. The most elegant technical design may be the worst possible fit for the business. The interest due in a case like this is, well, unthinkable. Take the time to get this right. You will be rewarded with enthusiastic and supportive sponsors who will welcome your efforts to achieve success within an operating model they understand. This entry was posted in Canonical Model, Common Information Model, Governance, Master Data Management, Operating Model, Organization Dynamics, Tools and tagged Canonical Model, Common Information Model, Galbraith Star Model, Governance, Master Data Management, Operating Model. Bookmark the permalink. What’s up, always i used to check website posts here in the early hours in the break of day, for the reason that i enjoy to gain knowledge of more and more. i’m following you. Look forward to looking over your web page again. Awesome Webpage, Continue the great work. thnx!